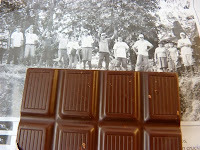 I was happy to find a new chocolate + lemon bar for this week. I love lemons for both sweet and savory dishes. Today's bar was sweet; however, the flavor additions (lemons, ginger, black pepper*) also could have been used to spice up a vegetable or chicken dish. 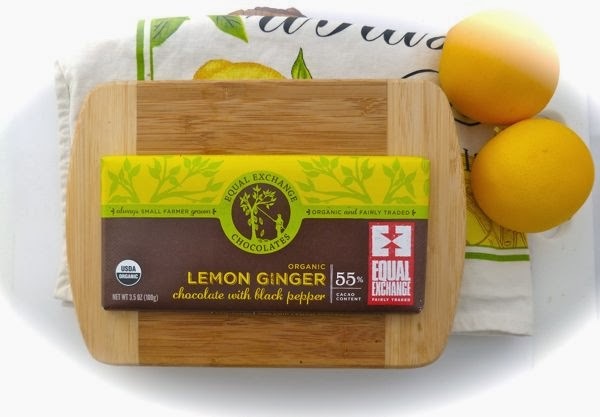 Today's Organic Lemon Ginger Chocolate with black pepper bar from Equal Exchange (W. Bridgewater, MA) was long on title and flavor. 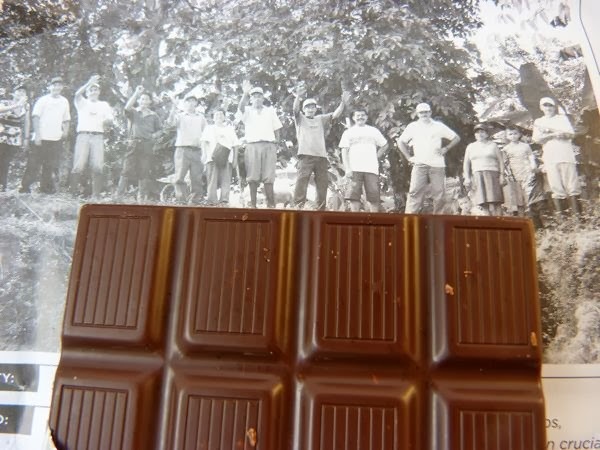 The bar contained a well-balanced mix of 55% cacao chocolate; fresh-tasting, sweet lemon (organic sugar and lemon oil); hints of candied ginger; and finely ground (or infused) black pepper and vanilla beans. Today was Day #7 of Chocolate and Lemon Theme Week.